Katherine Johnson. Maria Klawe. 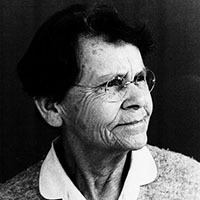 Barbara McClintock. If none of these names sound familiar to you, it’s time to change that. The groundbreaking, unsung work of these women — and many more like them — helped shape modern science. GRACE HOPPER was at the forefront of computer and programming language development from the 1930’s through the 1980’s. One of the crowning achievements of her 44-year career was the development of computer languages written in English, rather than mathematical notation. Hopper’s legacy is still honored by the annual Grace Hopper Celebration of Women in Computing Conference. KATHERINE JOHNSON, an African-American space scientist and mathematician, is a leading figure in American space history and has made enormous contributions to America’s aeronautics and space programs by her incorporation of computing tools. She played a huge role in calculating key trajectories in the Space Race — calculating the trajectory for Alan Shepard, the first American in space, as well as for the 1969 Apollo 11 flight to the moon. 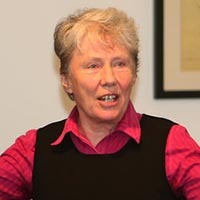 >> MARIA KLAWE pursed her passion for technology and became a prominent computer scientist. 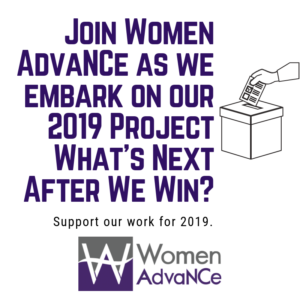 Despite growing up as a self-described outcast, Klawe is now the first female president of Harvey Mudd College and works hard to ignite passion about STEM fields amongst diverse groups. At Harvey Mudd College, she has raised the percentage of women majoring in computer science from less than 15% to more than 40% today. 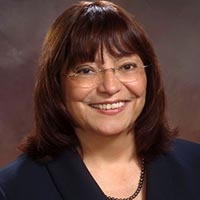 >> LYDIA VILLA-KOMAROFF is considered to be a trailblazer in the field of molecular biology. She faced many adversities throughout her lifetime but she pursued her passion in spite of opposition. In 1978, Villa-Komaroff made waves with a published paper detailing her most notable discovery: that bacteria could be engineered to produce human insulin. 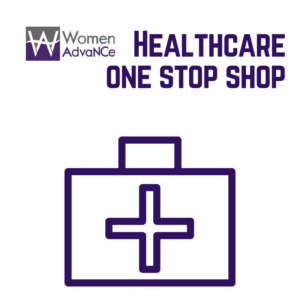 She currently serves as the Chief Scientific Officer (CSO) at Cytonome/ST. 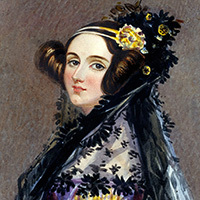 >> ADA LOVELACE is considered to be the founder of scientific computing and the first computer programmer. Her algorithm — which was the first algorithm carried out by a computer — was intended to be used for Charles Babbage’s Analytical Engine. Lovelace passed away in 1852 before many of her computations received recognition, but her work has broken through to inspire present-day young women interested in computer programming. 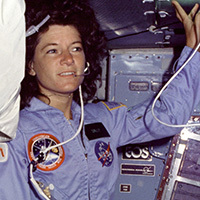 >> SALLY RIDE transformed history when she became the first American woman to fly into space on June 18, 1983. After her second shuttle flight, Ride decided to retire from NASA and pursue her passion for education by inspiring young people. As a result, she founded Sally Ride Science, an organization dedicated to supporting students interested in STEM. Ride passed away in 2012. >> BARBARA MCCLINTOCK was an American geneticist and is still considered to be one of the world’s most prestigious cytogeneticists (a geneticist who focuses on cells). In 1983, McClintock won the Nobel Prize in Physiology for her discovery of the “jumping gene” or the ability of genes to change position on the chromosome. McClintock passed away in 1992, but her publications still influence geneticists across the world. >> THE MERCURY 13, also sometimes known as the “Members of the First Lady Astronaut Trainees” (FLATs), were a group of women who participated in training to become astronauts for the country’s first human spaceflight program in the early 1960’s. FLATs was never an official NASA program and was unfortunately eventually discontinued. 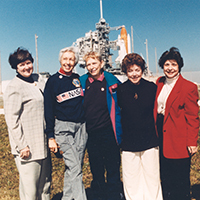 The commitment and determination of these women to get into space paved the way for later astronauts. 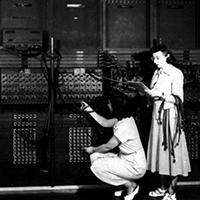 >> THE ENIAC PROGRAMMERS, a group of six young women working on a secret project during WWII, programmed the first all-electronic programmable computer. When the project was eventually introduced to the public in 1946, the women were never introduced or credited for their hard work. Since then, the ENIAC Programmers Project has worked hard to preserve and tell the stories of these six women. 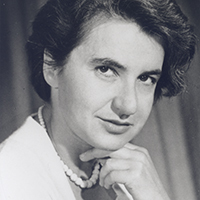 >> ROSALIND FRANKLIN was a British chemist and crystallographer (the experimental science of determining the arrangement of atoms). 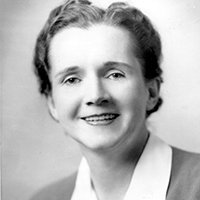 She is best known for her research that was essential to elucidating the structure of DNA. During her lifetime, Franklin was not credited for her key role, but years later she is recognized as providing a pivotal piece of the DNA story. Franklin spent the last five years of her life studying the structure of plant viruses and passed away in 1958. This article was original published on >>WhiteHouse.gov/.